To Open a new account with Countryside Energy please complete the online Retail Credit Application and then click submit to send directly to the Countryside Energy customer service team. You also have the option of printing the completed form, signing & then mailing to the Countryside Energy office at 8794 NYS RT. 415, Campbell, NY 14821. TERMS OF PAYMENT: All charges/purchases shall be paid according to the price and payment terms stated on each invoice, (terms may vary according to product purchased). Each sale shall be subject to the Company's General Terms and Conditions for each product. 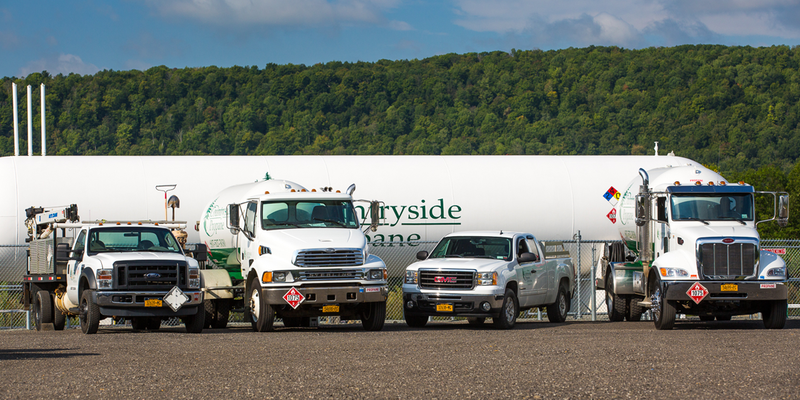 To the extent that charges/purchases remain unpaid beyond the due date described on each invoice, Countryside Energy Services, LLC, ("Countryside") will assess service charges at the rate of 2.0% per month (24% Annual Percentage Rate). Applicant agrees to all collect costs, including reasonable attorney fees, if this account is placed for collection. In the event Applicant fails to pay for any charges when due, Countryside shall have the right to setoff and apply any amounts owed to Applicant by Countryside against any such indebtedness. The undersigned hereby authorizes Countryside to obtain a credit report and authorizes the release of credit information and the right to investigate and verify references for the purpose of establishing eligibility for new or continued credit. Applicant acknowledges the Countryside Energy may extend, modify or terminate credit any time in its sole discretion.